We love Dorset! You probably expected a little bit more than that from a feature on Dorset short breaks, but we thought it was important to get that in first. Rolling rural countryside, World Heritage Jurrasic Coast, family seaside resorts, World Class sailing, idyllic Dorset market town, traditional Dorset cottages and villages, history, heritage, gardens, festivals and events... whatever you are looking for in a weekend break, short break or holiday, Dorset has it all. Wimborne Minster retains its character with delightful town squares and streets to explore. You can take guided tours of the town to find about its history and then chill out in the countless cafes, restaurants and pubs. Blandford Forum. This is a unique Georgian gem of a town that is architecturally stunning. Head for the superb market place which has an Italianate Church at its centre, from there you can explore the excellent range of shops, cafes, and restaurant. Set on the banks of the River Stour, there are plenty of good walks where you can take in the beautiful views and scenery surrounding Blandford Forum. Shaftesbury. With its elevated position on top of a hill, Shaftesbury has great views across three counties and is also home to the famous Gold Hill (know for the Hovis adverts). It has managed to retain is historic charm which you can enjoy via the Heritage Trail and of course there are plenty of places to shop and eat. Sturminster Newton. This is a quaint old town although in recent years has had new development that sees an intriguing mix of new and old. Gillingham. Set in the lush landscape of the Blackmore Vale, Gillingham can be traced back to Saxon times and beyond. 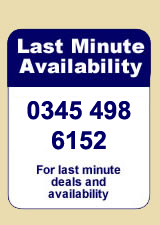 If you are looking for some last minute self catering apartment, flats or cottages in Dorset then we recommend you call 0844 847 1143 for a great selection of properties and the latest availability and deals.